Donald I. Abrams, MD. is chief of the Hematology-Oncology Division at San Francisco General Hospital and a Professor of Clinical Medicine at the University of California San Francisco. He has an Integrative Oncology consultation practice at the UCSF Osher Center for Integrative Medicine. He received an A.B. in Molecular Biology from Brown University in 1972 and graduated from the Stanford University School of Medicine in 1977. 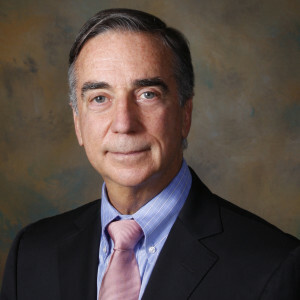 After completing an Internal Medicine residency at the Kaiser Foundation Hospital in San Francisco, he became a fellow in Hematology/Oncology at the Cancer Research Institute of the University of California, San Francisco in 1980. He was one the original clinician/investigators to recognize and define many early AIDS-related conditions. He has long been interested in clinical trials of complementary and alternative medicine interventions for HIV/AIDS and cancer, including evaluations of medicinal marijuana. In 1997 he received funding from the National Institute on Drug Abuse to conduct clinical trials of the short-term safety of cannabinoids in HIV infection. Subsequently he was granted funds by the University of California Center for Medicinal Cannabis Research to continue studies of the effectiveness of cannabis in a number of clinical conditions. He completed a placebo-controlled study of smoked cannabis in patients with painful HIV-related peripheral neuropathy as well as a study evaluating vaporization as a smokeless delivery system for medicinal. His last NIDA-funded trial investigated the possible pharmacokinetic interaction between vaporized cannabis and opioid analgesics in patients with chronic pain. He is now conducting an NIH-funded trial investigating vaporized cannabis in patients with Sickle Cell disease. He co-authored the chapter on “Cannabinoids and Cancer” in the Oxford University Press Integrative Oncology text that he co-edited with Andrew Weil. He co-edits the NCI PDQ CAM Cannabinoids and Cancer website.